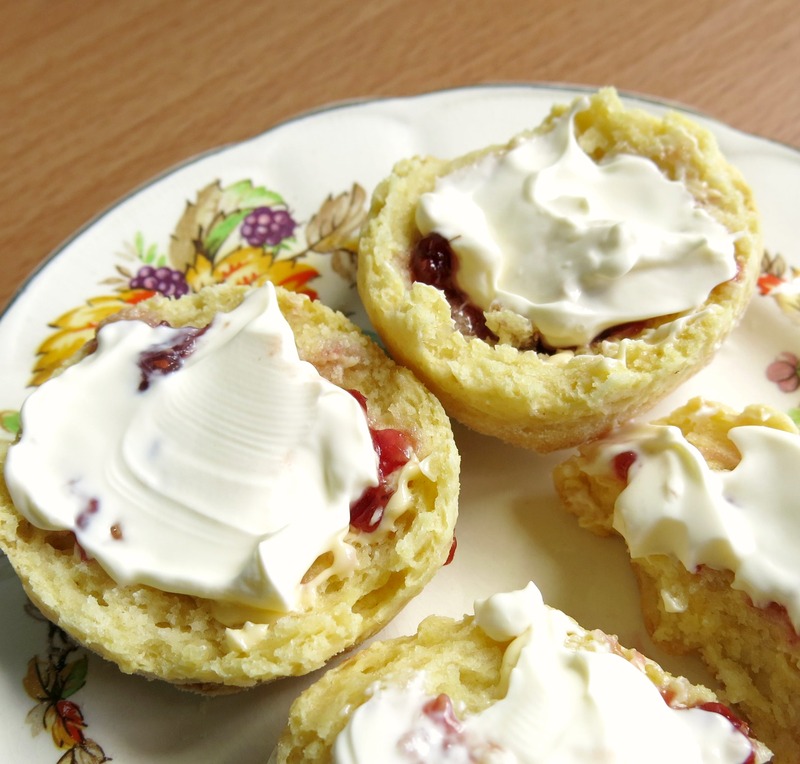 Scones are easily one of the best treats to add to your day. They make me feel happy and comforted and like I am at home. Unfortunately they also make me feel really full and a bit unwell because I always have 2 of the giant things with jam and cream. Mix your dry ingredients in a bowl. They are 2 1/2 teaspoons of baking powder, 1/2 teaspoon of bi-carb soda, 1/2 teaspoon salt, 3 teaspoons of caster sugar and 250 grams of flour (about 1 3/4 cups). Melt 3 tablespoons of butter, remove from heat and stir through 200 ml of buttermilk. Make a well in the centre of your dry ingredients and pour in about 1/2 of the buttermilk and butter mixture, mix this in with a butter knife and check the consistency, add as much more of the buttermilk/butter mixture as they need to become easy to gently knead out onto a floured surface. Use a scone cutter to get round scones or just cut into square scones if you want to. I arrange them on the tray so they are about 1 cm apart. This way they cook evenly. Bake at 200c for about 10-15 minutes. This entry was posted in Recipe and tagged afternoon tea, Buttermilk, Buttermilk Scones, food, high tea, recipe, scones, treat on March 20, 2014 by yourorgangrinder.